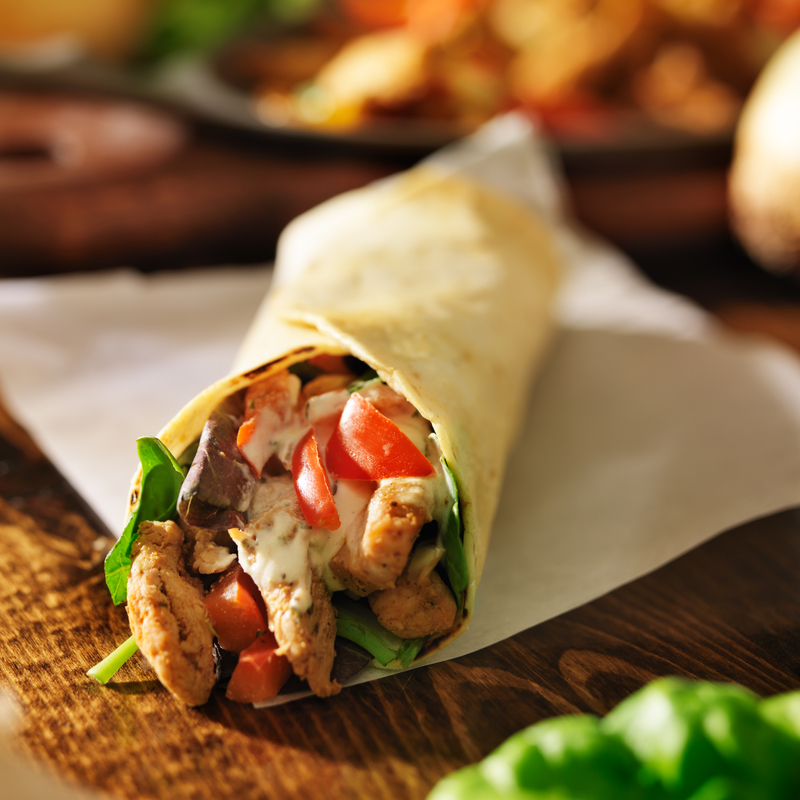 Dale's Grilled Chicken Wrap is an easy lunch dish. This recipe calls for your choices of tortillas, boneless chicken and Dale's Seasoning. Looking for another good lunch recipe try Dale's Bacon, Tomato, Avocado & Mozzarella Salad. To begin making Dale's Grilled Chicken Wrap, Marinate chicken in dale's Seasoning for 30 minutes. Heat your grill to medium/high and lightly coat with olive oil. Then, place chicken onto grill and cook each side for about 10 minutes. Baste with lemon juice often. Once fully cooked, remove from heat and let them sit for at least 5 minutes, keeping the juices in. Cut chicken into slices and set aside. Next, spread Ranch dressing on one side of each tortilla. Place lettuce first, then chicken, tomato and cheese into each tortilla. Fold in the sides and wrap with ends closed. Place on grill and press down with a spatula just long enough to leave grill marks. Do this for both sides. Cut on diagonal and serve.